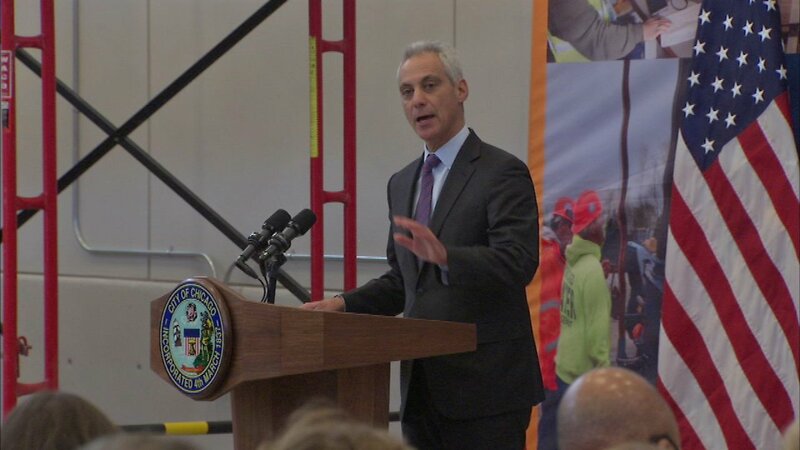 WASHINGTON (WLS) -- Chicago Mayor Rahm Emanuel was in Washington D.C. Monday, where he spoke about crime, transportation and infrastructure. Matt McGrath, a spokesman for the mayor, said Emanuel was scheduled to meet with several senior administration officials at the White House, including Senior Advisor Jared Kushner, who is President Donald Trump's son-in-law. McGrath said during his visit, the mayor reiterated his request for additional federal resources, including ex-offender programs, mentoring, increased federal gun prosecution in Chicago and additional federal agents. Emanuel was also slated to meet with Sen. Chuck Schumer (D-NY), Sen. Elizabeth Warren (D-MA) and U.S. Attorney General Jeff Sessions, McGrath said. The mayor was also scheduled to meet with officials from the U.S. Department of Justice, Amtrak and the Federal Aviation Administration. It did not appear the mayor would meet with Trump during his trip. The president has had tough words about Chicago in past weeks, and threatened, in a tweet, to "send in the feds" if the city doesn't reduce gun violence.